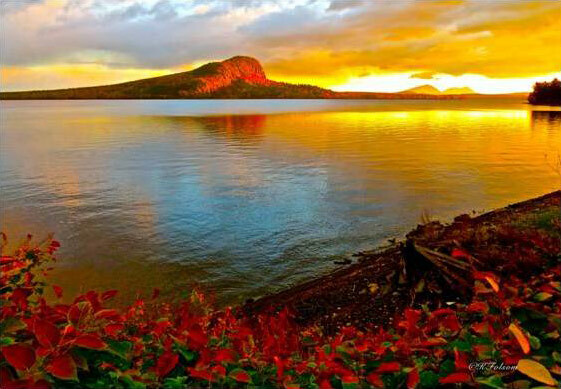 Moosehead Lake, Maine is the destination to satisfy the explorer in all of us. Vacationers looking to get away find our Moosehead Maine bed and breakfast a welcome escape from their everyday lives. 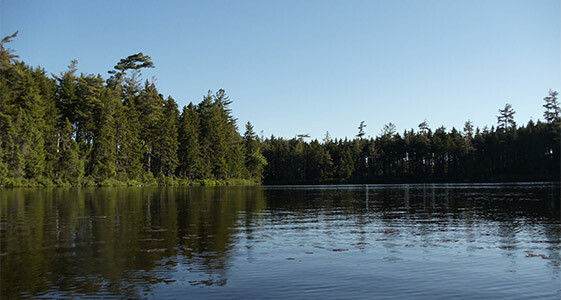 Since the time of Henry David Thoreau, Moosehead Lake has been a mecca for those seeking a unique outdoor experience. 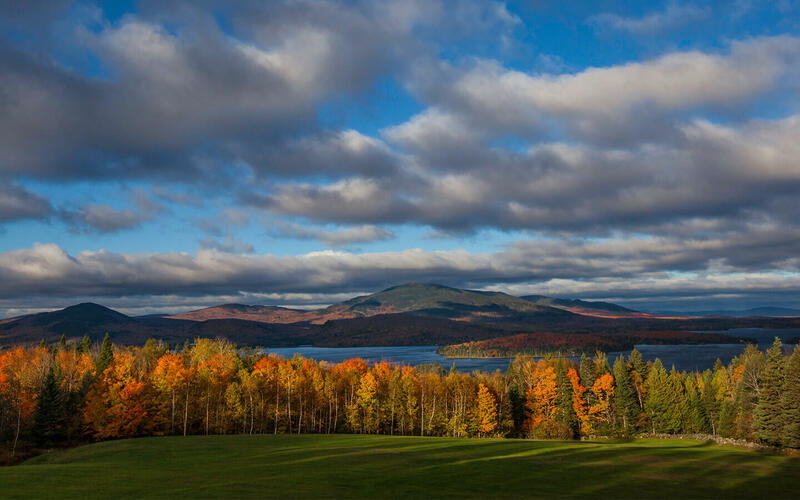 The largest lake in Maine serves as a backdrop for incredible scenic recreational attractions including Mt. Katahdin, Mt. 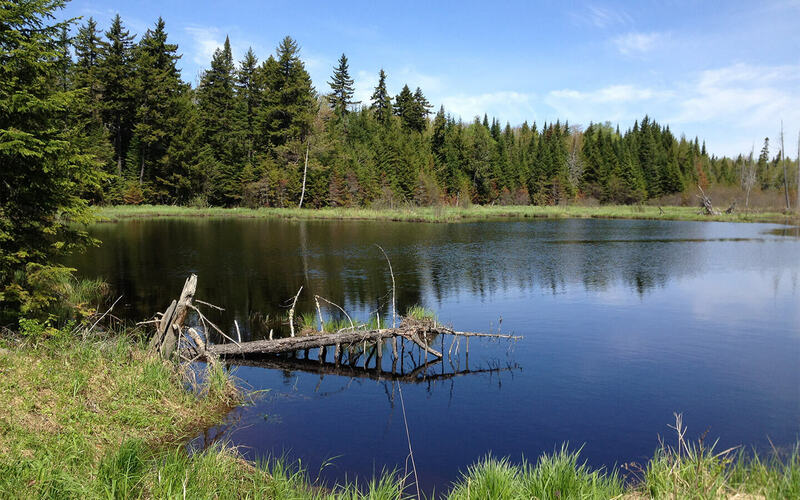 Kineo, the Appalachian Trail, and the Allagash Wilderness Waterway. The surrounding 4400 square miles of West Central Maine four season vacationland offers fishing, hunting, camping, white water rafting, canoeing, kayaking, hiking, mountain biking, exploring, skiing, snowmobiling, golfing, sailing, photography, wildlife viewing or just enjoying the unspoiled natural beauty. Miles and miles of shoreline surrounded by the Longfellow Mountain Range make the views spectacular. There are over 80 islands in the lake, the largest being Sugar Island, just North of the Lodge. 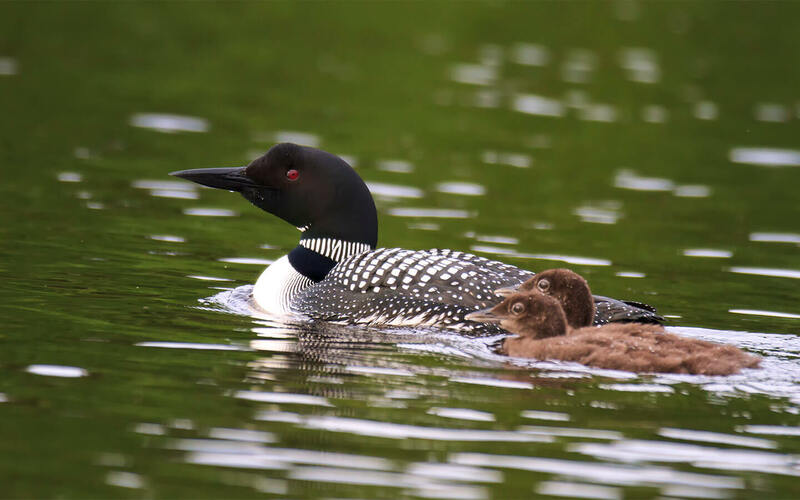 During the last glacial era, more than 1,200 natural lakes and ponds were carved into the landscape, varying in size from one acre ponds to Moosehead Lake, at 74,890 acres, one of the largest natural freshwater lakes in the United States. Mount Kineo, a great day hike, has 700 foot cliffs rising straight up from the Lake. It has attracted visitors for centuries, including American Indians seeking its flint called hornstone for making fires. Various wildlife species dwell among its cliffs and talus slopes including peregrine falcons and rare plants. The region also supports a large moose population making this a welcome destination for wildlife lovers. 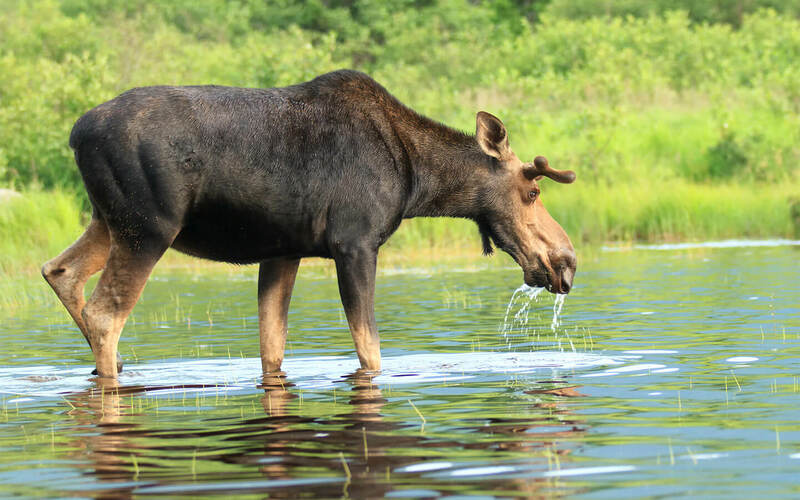 It is said that moose outnumber people in the region by 3:1 and we have a popular Moose Safari & Wildlife Tour package in the summer for all to enjoy. And let’s not forget, the name of the region is actually derived from the remarkable similarity between outlines of the lake shore and an antlered moose. Include Moosehead Lake, Maine in your vacation plans… a getaway for rest, recharge and escape.